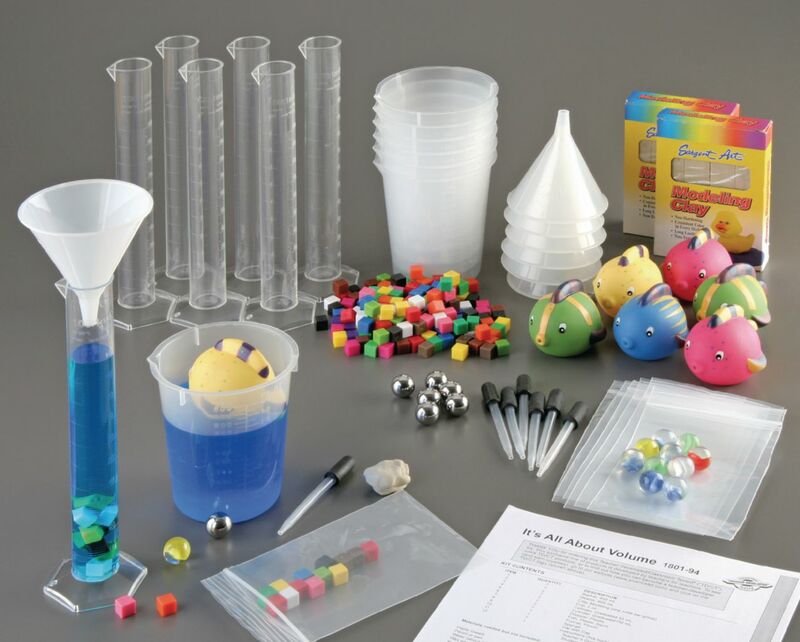 Just add water for a fun, hands-on introduction to the measurement of volume. Five activities lead students through volume calculations and the displacement of liquids, using the included fun squirt fish, sponges, clay, beakers, and graduated cylinders. Developed by Jan Pechenik, the kit activities are aligned to national standards. Required but Not Provided: Metric Rulers, Paper Towels, Containers of water, Knife (to cut clay), Calculators (optional), Balance (optional).